[Every now and then when I listen to some music I check to see if the singer is Jewish. It is shocking how many famous "whites” when I grew up were Jewish. 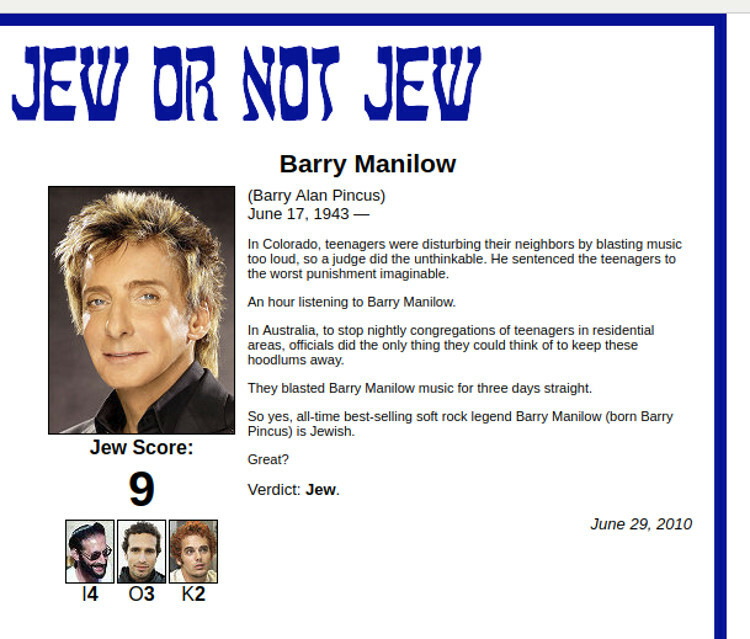 I discovered the other day that Barry Manilow is Jewish! I’m telling you, Jews promote Jews and Jews help Jews and they just take over everything! (Don’t buy the notion that they are the best because they’re "talented”). They promote each other and lie about the talent! And its shocking how much we whites let them get away with. 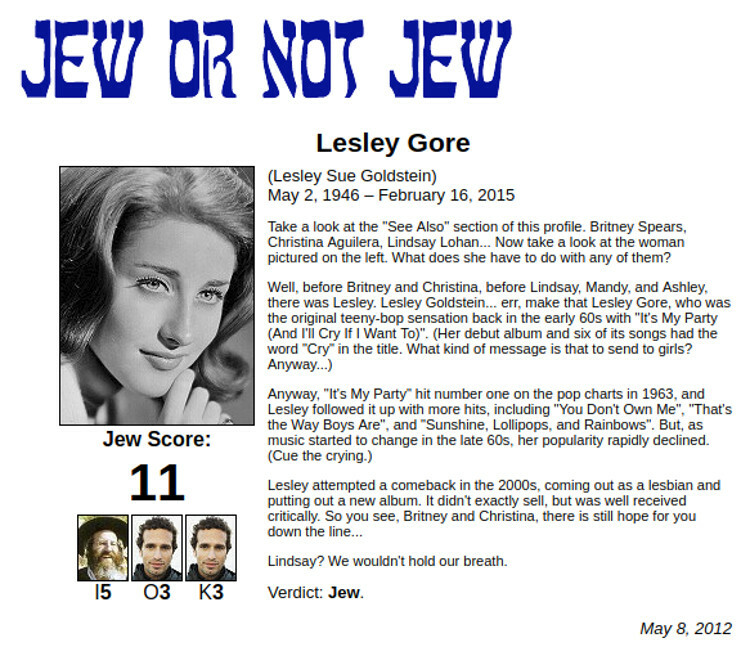 I also discovered that Lesley Gore from the 1960s is 100% Jewish. She’s also a Lesbian and a Feminist! And in her younger days she was actually attractive. But there you have it. Jews are just garbage. 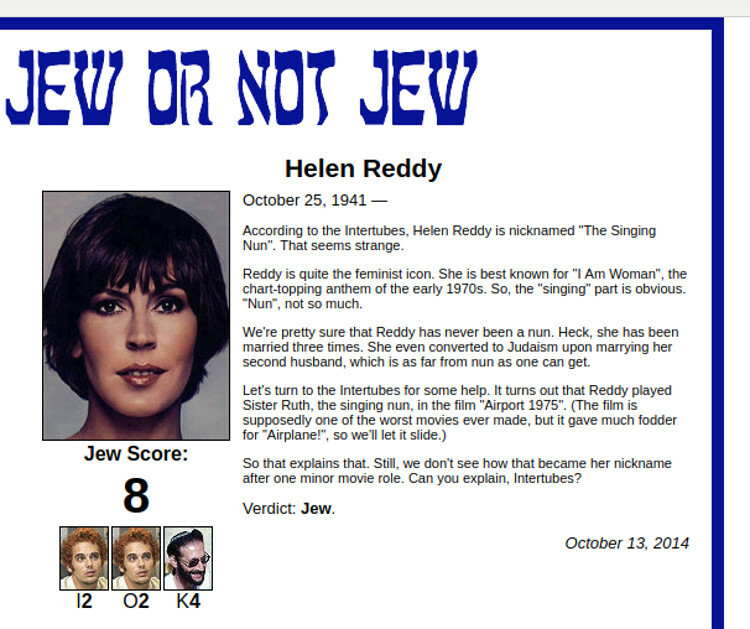 Then there’s Helen Reddy who was “the Queen of Pop music” in the 1970s or so they claim. I discovered that she wasn’t born Jewish. She’s Australian. But she converted to Judaism! One of her songs, “I am Woman” is loved by the filthy feminist movement. Another Jewish POS. Make no mistake I’m barely scratching the surface on who is Jewish in music and entertainment. Other people have done more comprehensive stuff on who is Jewish. But these names I’m putting up are ones I’ve come across myself. ← USA: Statistics show: Whites being driven out of Universities; total Jewish control!